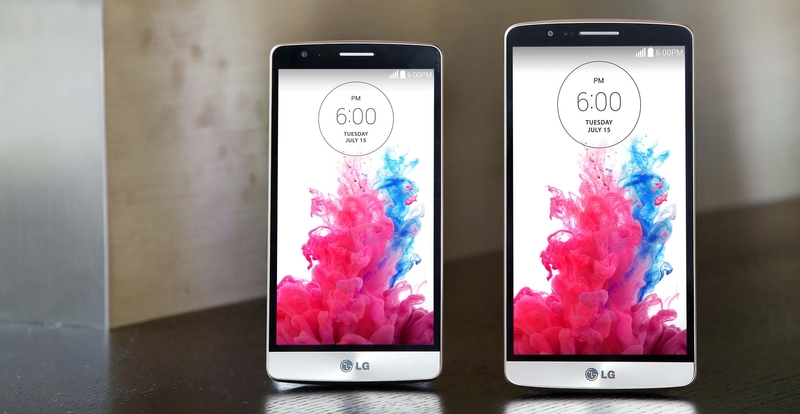 LG has announced the G3 Beat, a new, mid-range version of its flagship G3 smartphone. With a screen size of five inches, the G3 Beat is slightly smaller than its 5.5-inch older sibling, but LG claims the device “retains the best features and functions of the G3” while catering to consumers who are shopping with a smaller budget. The new device runs Android KitKat but is more modestly powered than the G3. At the heart of the G3 Beat is a 1.2 GHz quad-core Qualcomm Snapdragon processor, while it includes 1GB RAM, 8GB of on-device memory — both of which are half the power of the G3. The G3 Beat’s rear-facing camera is eight-megapixels and the front-facing camera is 1.3-megapixel, which again represent scale downs from the G3, which sports a 13.1-megapixel and 2.1-megapixel camera respectively. Feature-wise, the G3 Beat includes a range of the G3’s features, such as laser auto focus, touch and shoot, gesture shots, its smart keyboard, and QuickMemo+. The device will be available in a choice of three colors — Metallic Black, Silk White, Shine Gold — and goes on sale in Korea from tomorrow, July 18. It is then scheduled to hit retailers in Europe and Russia — where it will be called the ‘G3 s’ — “weeks” later, before rolling out worldwide thereafter. We’ve reached out to LG to get pricing, and ask when the device will make it to North America. Update: The company says, per the blog post, that there is no timeline for the G3 Beat’s US launch. We’ll keep you posted.